I think i have an evotech tailtidy . Now i'm looking for a better fitting one if any ?before hacking the sucker up.. I folded the plate after the rear wheel caught it during wheelies. Decided not to run a plate anymore. Just keep it under your seat if you get pulled over. The competition works tail tidy will not help you at all. 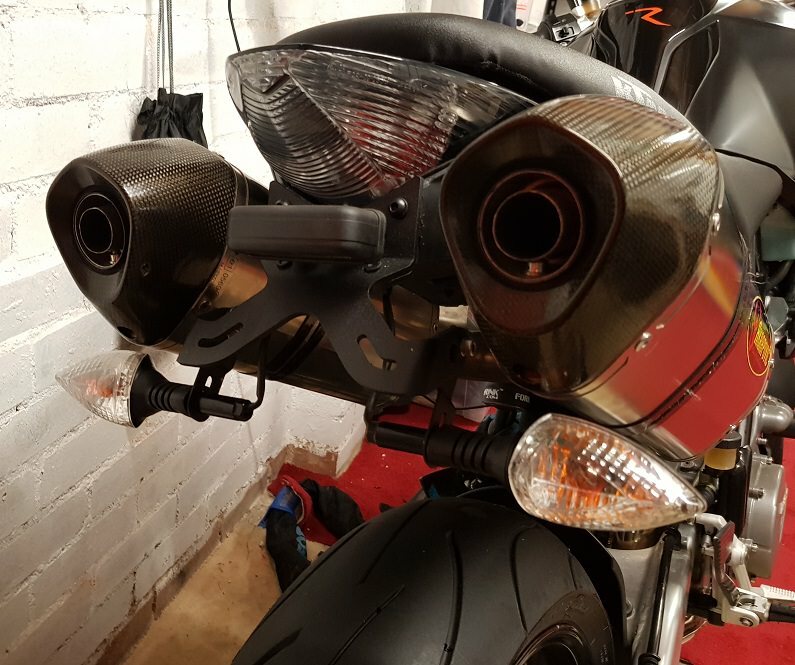 The signals would not fit with my akra evo. I suggest buying an integrated tail light. I have the led ones from ktm and realy like them , so i want to keep those . Currently browsing the innerweb for options. An ever so slightly smaller plate just fits in between the two cans without looking overly tiny. If I need to have the full size plate back on, I've made up a little flat adaptor plate to offset it down below the cans too. I found tru another sd rider another solution .kinda ghetto but it works.